Browse the location, rename it as you like after clicking “Next” button. Create as many shortcut you wish. 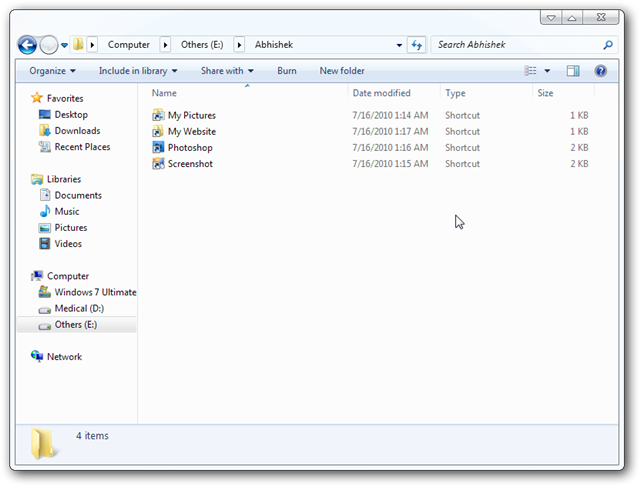 For program shortcut, go to C drive (or where your Windows 7 is installed), Program Files (and Program Files x86 for Windows 7 64 bit), open the folders of the program, select the program’s exe file. Repeat Step 2, until you have added all the programs, Folders etc you have added. Note: You can Add or Delete it anytime later. The shortcuts will be refreshed automatically. 1. This works on any currently used Windows OS. 2. To remove it, right click over the taskbar, uncheck the folders name. This will not only remove the shortcut bundle from the taskbar, but also will remove from the “Toolbars” list (on right click). 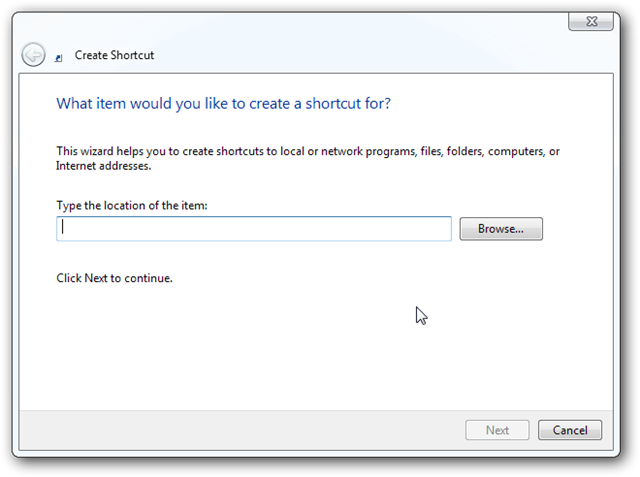 This specific feature is added in Windows 7. 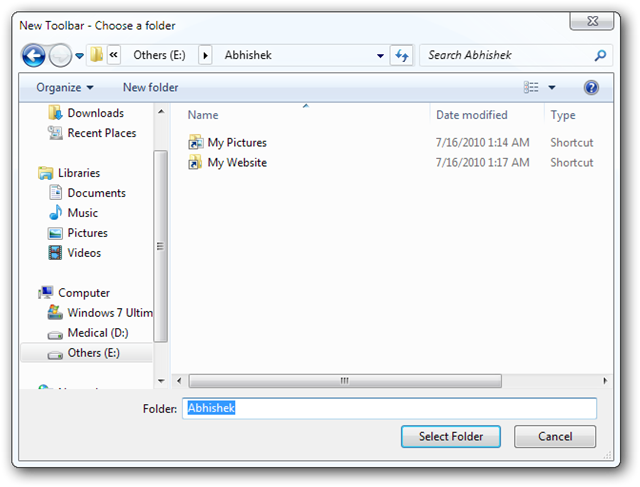 Thumbs.db files represent the outline of the contents of a file when it contains images. 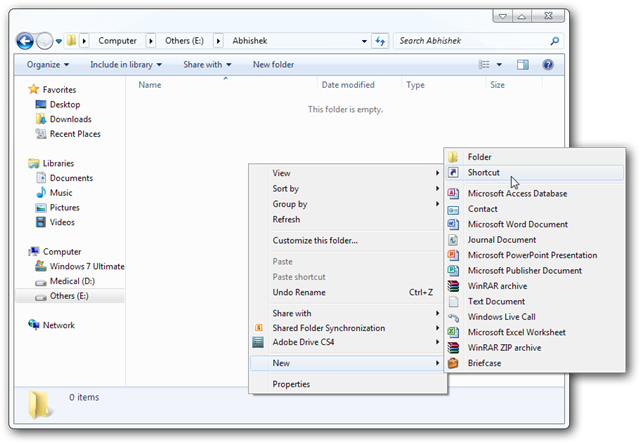 Learn how you can delete and disable thumbs.db in Windows 7. 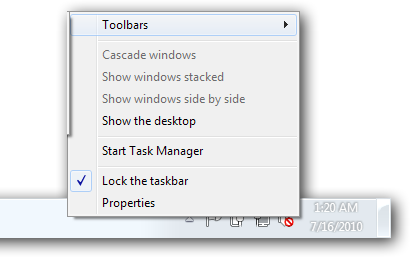 Cite this article as: Abhishek Ghosh, "Custom named shortcut for taskbar," in The Customize Windows, October 18, 2010, April 23, 2019, https://thecustomizewindows.com/2010/10/custom-named-shortcut-for-taskbar/.